Your Personal Russian Prediction Psychic Reading is a powerful and to the point reading that will provide positive predictions, challenges and the timing of the predictions that lay ahead for you. This reading is an ancient Psychic Reading that leans into the old style Romany way of reading and is very accurate. It will help in matters that pertain to you without having to ask any questions at all. The Russian Prediction Psychic Reading is a very special reading that I respect deeply and is one of the few readings I use for myself sparingly due to its intensity. The power of this reading will give you clear and accurate predictions on what is happening in the immediate, medium and/or longer term future which I will let you know. With all the action taking place in our world this is perfect if your wanting to know what is happening next for you. 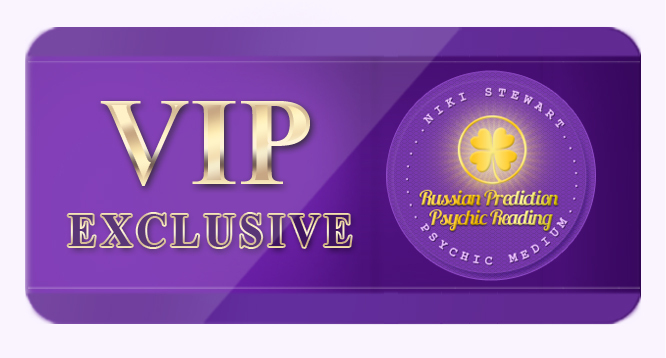 To order Personal Russian Prediction Psychic Reading by Email or to Schedule a Live Phone, Chat or Video Reading with me, simply click on the “Order This VIP Members Reading” button below now.